Saving money for major milestones such as college and retirement are among the most significant undertakings in one’s lifetime. Parents across the country may find themselves overwhelmed by the task of setting aside funds not only for their own futures, but also for the futures of their children. While saving for both college and retirement calls for thoughtful planning, a large number of people have the potential to find successful ways to save. If you haven’t begun saving or have yet to even develop a strategy, it’s best to begin sooner rather than later. If you’ve been saving money but are unsure if your approach is worthwhile and effective, now is an opportune time to review your methods and check if changes should be made. Before determining ways to save money for college or retirement, it’s important to understand based upon your unique situation how much you’re realistically able to save for each. When possible, it’s also helpful to identify your children’s specific needs and ambitions, as tuition costs for different degrees can vary widely. In addition, providing early and consistent education to your children regarding wise financial decisions is also vital to jump-starting their path toward a prosperous future. Creating a savings account specifically for college savings is commonplace. Beyond a typical savings account, a 529 plan may be among the best ways to save money for college depending on your circumstances. A 529 plan is an education savings plan under the guidance of states or educational institutions, and is also known as a “qualified tuition program.” Money saved within 529 accounts are not federally taxed and are often untaxed at the state level, although conditions vary by state. 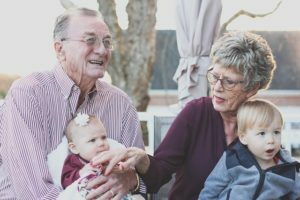 Other benefits of utilizing a 529 plan include high contribution limits and the fact that each 529 plan is exempt from expiration and can be transferred to other family members if necessary. For more details about 529 plans, take a look at our “5 Things You Should Know About 529 Plans” guide. Keep in mind that saving for retirement should be just that: for enjoying retirement, and should generally not be used for other expenses like weddings, vacations, or college tuition. Dipping into retirement savings to help control college costs or other expenses may appear favorable at the present moment, but this carries the risk of parents losing their financial independence if they deplete their nest egg. However, that does not mean that parents should swing to an extreme of focusing entirely on retirement savings. Saving money for both college and retirement is possible, but there is a balance to be struck. The sooner you begin to save, the easier it is to set aside a smaller portion each week or month. A 401(k) plan is one of the most common and effective ways to save for retirement. A company-matched 401(k) plan is particularly lucrative as your employer’s financial match substantially increases your total contributions. Keep in mind that there are limits to how much can be set aside in a 401(k) each year, as well as penalties for cashing out early. Implementing an Individual Retirement Account, or IRA account, is another method to nurture your nest egg. An IRA is an account that you open on your own, independent of employer contributions. Many IRAs offer flexibility as well as favorable tax breaks. In order to productively save for either college or retirement, one significant way to ensure that your money will be there when you need it most is resolving high-interest debts as soon as possible. If you continue to carry interest-laden debt, unnecessary costs will continue to build and eat away at your savings. Whether saving money for retirement, college, or both, developing a comprehensive strategy with a financial expert can be greatly beneficial. Substantial financial decisions including saving for college and retirement can be daunting, while objective and personalized guidance from accomplished professionals can provide important insights that you may not find on your own.